It was almost one of the greatest comebacks in the event’s history. Almost. 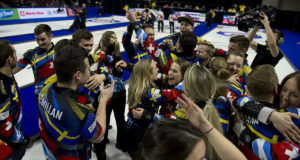 But Team World finally made it official Sunday in the final draw of the 2019 World Financial Group Continental Cup, presented by Boyd Gaming, picking up the final, precious points needed to clinch the championship. Team World, which saw its comfortable lead in the 2019 World Financial Group Continental Cup, presented by Boyd Gaming, severely shaved, reasserted its dominance in a big way Sunday in Las Vegas. Team World was taught a valuable lesson Saturday at the 2019 World Financial Group Continental Cup, presented by Boyd Gaming. It’s not how many games you win. It’s when you win them. 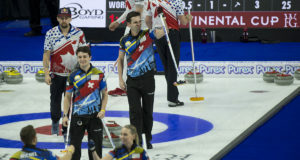 Team North America kept its dwindling hopes alive Saturday afternoon in its battle against Team World in the 2019 World Financial Group Continental Cup, presented by Boyd Gaming. Team World has been pretty adept at any discipline thrown its way at the 2019 World Financial Group Continental Cup, presented by Boyd Gaming. 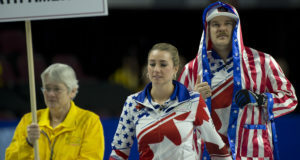 LAS VEGAS — Team World showed up for the 2019 World Financial Group Continental Cup, presented by Boyd Gaming, with a young, talented team of curlers determined to halt an embarrassing six-year winless drought against Team North America. 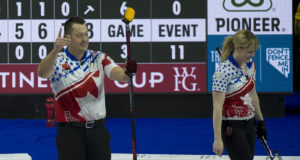 Team North America earned its first point Friday morning at the 2019 World Financial Group Continental Cup, presented by Boyd Gaming, but it could only stem the bleeding, not stop it. 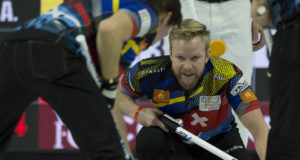 Team World continued to tighten the screws on Team North America at the 2019 World Financial Group Continental Cup, presented by Boyd Gaming, after another scintillating performance in the third draw Thursday night. 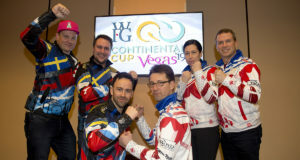 Can Team World win the 2019 World Financial Group Continental Cup, presented by Boyd Gaming, 60-0? Of course not, but after winning its first six matches Thursday – all mixed doubles events – at the Orleans Arena in Las Vegas, they can dream about it. 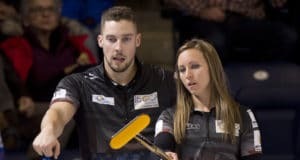 Team World served notice Thursday; it’s determined to snap a horrid losing streak after sweeping all three mixed doubles matchups in the opening draw of the 2019 World Financial Group Continental Cup, presented by Boyd Gaming. Matchups for the first 18 games are now set at the 2019 World Financial Group Continental Cup, presented by Boyd Gaming. Team North America and World coaches and captains finalized the lineups at today’s coaches and captains meeting. The 2019 World Financial Group Continental Cup returns to Las Vegas this Thursday for the fourth time in the event’s 15-year history, but this time a new format puts emphasis on mixing and matching the world’s greatest players in ways never seen before. Kevin Koe’s buzzer-beater double takeout to win the semifinal might have been the most talked about shot of the weekend at the Grand Slam of Curling’s Canadian Beef Masters in Truro, N.S., but John Epping’s short runback to win the final was the shot that mattered most. 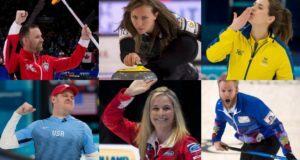 All of the reigning World and Olympic curling champions will be under one roof for the 2019 World Financial Group Continental Cup, Jan. 17-20 at Orleans Arena in Las Vegas.